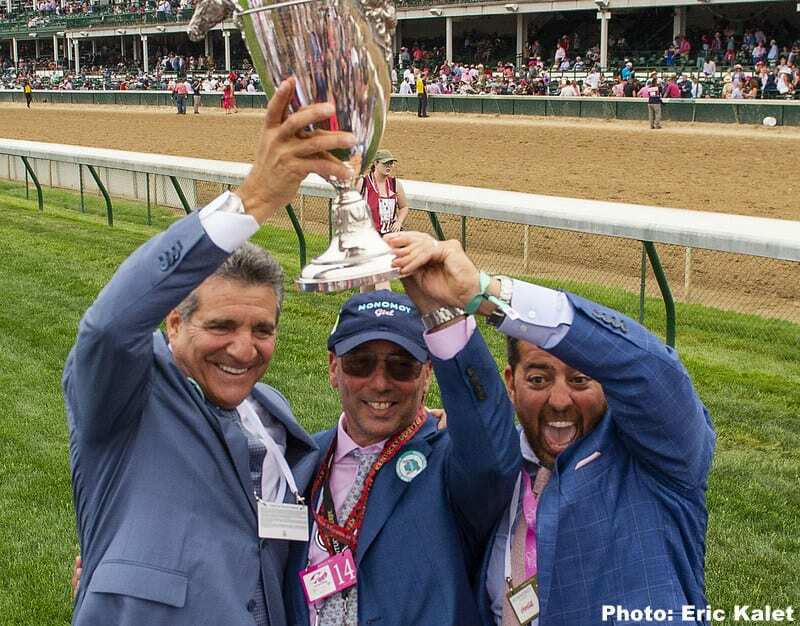 Michael Dubb's path to Thoroughbred ownership began in a most improbable way – with a night spent sleeping in his van near Saratoga Race Course because he lacked money for a hotel. Dubb and a friend ventured a couple of show bets the following day because their budget was so limited. The part of the afternoon that he recalls most vividly came at the end, when he slipped into the owners' boxes as a 17-year-old with shoulder-length hair, picked up a phone and acted important while posing for a picture. Years passed. That photo turned grainy. Cellphones have replaced landlines. Much has changed, including Dubb's status in the sport, where, after dominating Belmont Park's spring-summer meet with 19 victories and more than $2.3 million in earnings, the 62-year-old is bidding to make it five consecutive Saratoga and year-end New York Racing Association owner titles. Today, Dubb is very much at home in his seats that overlook the finish line. There are times when even he wonders how it all happened. “I never, in my wildest dreams, thought I would end up here,” he said. Here is the Spa, the famous track that sits on Union Avenue. From this historic venue, Dubb continues to watch his horses charge home; conjuring feelings similar to one he felt when Tasty Chardonnay, a 3-year-old he claimed for $15,000, staged a dramatic rally from 15 lengths back to provide his first Saratoga winner on Opening Day of the 2002 meet. Dubb was absolutely beside himself when Monomoy Girl, the Grade 1 Kentucky Oaks winner in which he shares ownership, produced one of the most stirring performances this summer with a commanding triumph against highly-regarded Midnight Bisou in the Grade 1 Coaching Club American Oaks on July 22 at Saratoga. It looked like someone having the time of his life. It looked like someone thoroughly enjoying a respite from “all-consuming” responsibilities as chief executive officer of the Beechwood Organization, the in-demand contracting firm he established and for which he oversees 300 employees. As much as Dubb is passionate and hands-on with every project Beechwood undertakes, racing provides a needed outlet that captivates him just as much, he said. Although Dubb started at the claiming level, he gradually built his stable to approximately 80 horses by investing in yearlings and 2-year-olds in training at various sales. He also makes private purchases domestically and abroad. He shows that success can be sustained without making seven-figure transactions in search of stars. Streaking Monomoy Girl developed into one despite being a $100,000 yearling. Sol Kumin, another prominent owner, said he appreciates having Dubb as a partner on Monomoy Girl and many other horses. It may be impossible to find a better student of the claiming game than Dubb. When he scrutinizes the ranks of those horses, he constantly searches for an edge, something that could make a major difference in performance such as a change in surface, distance or trainer. He works with as many as eight trainers, assigning horses based on individual needs and the different strengths of each conditioner. It is no accident that Dubb's starters almost always loom as main contenders. As much pleasure as he derives from ownership, Dubb never loses sight of the business side. It says everything about Dubb, a member of NYRA's Board of Directors, that his favorite day has nothing to do with a particular race. It is graduation day at Anna House, the education and development center at Belmont Park that he built in 2002 as part of his ongoing commitment to backstretch workers. “Watching these kids develop – the confidence, the interaction, the look of happiness — gives me pleasure beyond description,” he said. This entry was posted in People and tagged Brad Cox Monomoy Girl, michael dubb, New York racing, saratoga, saratoga racecourse, sol kumin, tom pedulla by Tom Pedulla. Bookmark the permalink.